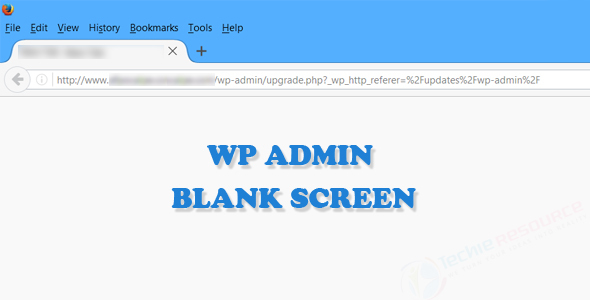 Recently wordpress users facing this issue Admin page goes blank after wordpress core version upgrade, Once the wordpress version successfully upgrade it will redirect to wordpress About page contains information about the Latest version and features. When upgrade(manual/automatic) wordpress to a new version it updates both the core files including wp-admin and wp-includes folder and also the DataBase, some times if any of one not completed or partially broken it throws a blank page, most of the time it happen while updating the Database, db_version field in the wp_options table and the $wp_db_version variable in the file /wp-includes/version.php didn’t match. To fix this issue just follow the steps. 1.Just open your wordpress installation through Ftp or Shell. 2.Rename the plugins folder to something like(plugins_) or anything else (temporarily). 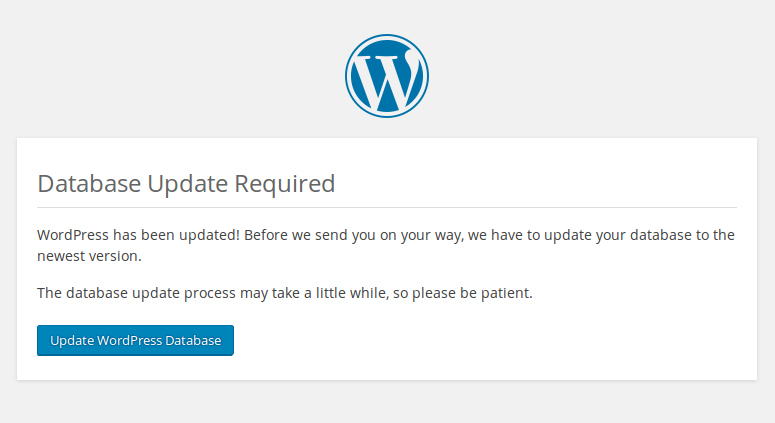 3.Now visit the wp-admin through your browser this time wordpress shows Database update Required page with Update WordPress database button. 5.Don’t forget to Revert the plugins_ to plugins otherwise it throws plugin missing errors. And also you can fix this issue another way by updating the version number in the wp_options table and this method is for only advanced users, the field is called db_version it must match with the $wp_db_version variable in “/wp-includes/version.php” file if the two doesn’t match just update the wp-options db_version to wp_db_version value. Before Upgrade wordpress Database through wordpress interface, it is better to take a backup of existing wordpress DB. And don’t forget to share this post on Facebook or twitter.